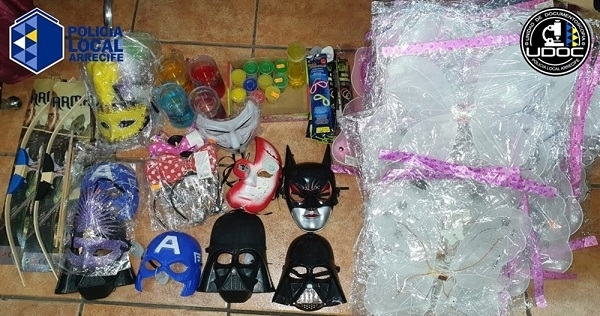 The Local Police from Arrecife in Lanzarote recently seized 30 toy products that are not approved in Spain because they do not meet the safety standards. These include, for example, luminous bracelets containing a highly toxic substance, diadems whose batteries are easily accessible or wooden bows and arrows with a high risk of strangulation. The AECOSAN alarm network, which warns of such dangerous toys, calls on consumers to report suspicious products that are not labelled with the necessary seals so that they can be withdrawn from circulation.